Invitae said today it has acquired Ommdom, the developer of the CancerGene Connect risk assessment and family history analysis platform, in a deal designed to expand the buyer’s genome management support offerings for clinicians. Invitae acquired all of Ommdom's outstanding capital stock in exchange for approximately $6 million in Invitae common shares. In reporting first quarter results on May 8, Invitae said it had expanded its available test menu during the quarter to more than 20,000 genes, from more than 200 genes in 2013—in part by adding additional genes linked to cancer, cardiovascular conditions, and other genetic disorders to its menu of genetic tests, resulting in a panel capable of providing information on 139 medically actionable genes. “We'll continue to invest in building out everything, starting with our cancer and cardio [test menus],” George told analysts May 8 during the company’s quarterly conference call. 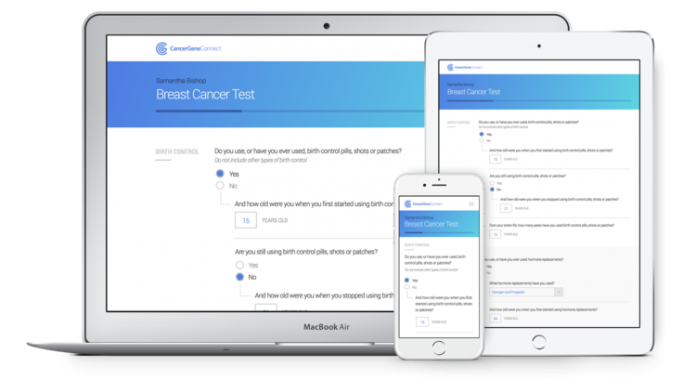 CancerGene Connect uses a cloud-based, mobile-friendly interface designed to help patients gather family history information before a clinician appointment. The platform analyzes a patient's predisposition to disease, and provide actionable analysis intended to inform therapeutic decisions such as genetic testing or treatment approaches. CancerGene Connect also provides clinicians with information designed to spot cancer trends across all their patients. According to Ommdom, CancerGene Connect has been used on more than 12,000 patients, generating for clinicians a 46% savings in time spent gathering data before and after patient visits. Results of a five-year study published in 2014 showed that the platform had allowed nearly twice as many patients to be seen by genetic counselors as before. “Although most frequently discussed in relation to cancer, family health history also has significant and growing importance in the prevention and management of heart, metabolic, neurological, and other diseases. Joining Invitae will broaden the reach of our technology, bringing its benefits to more clinicians and their patients,” Ommdom CEO Richard Burghardt said in a statement. Dallas-based Ommdom is a developer of healthcare software that has exclusively licensed the technology behind CancerGene Connect, which was first created in the late 1990s at UT Southwestern Medical Center by David Euhus, M.D., now with Johns Hopkins Medicine. UT Southwestern developed an initial version of the tool that enabled clinicians to run complex risk assessment algorithms digitally, and much more quickly than the research calculations previously required for each patient. CancerGene Connect was launched in 2009. For its work on CancerGene Connect, UT Southwestern Medical Center won the Innovator Award from the Association of Community Cancer Centers (ACCC) in 2013.